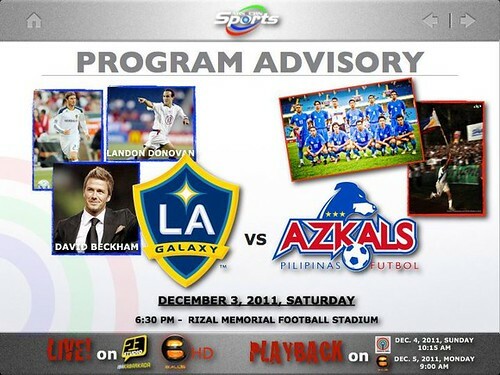 The Philippine Football Team also known as the Azkals will battle against David Beckham and the rest of Los Angeles Galaxy on December 3, 2011 at the Rizal Memorial Stadium. Notable players to surely play, from the Philippine side are the Younghusbands and Emelio Caligdong. From the LA Galaxy, are international football stars David Beckham, Landon Donovan and Robbie Keane. Visit Ticketworld for the tickets.